Sunscreen….Let’s face it, we need it but we hate using it: it’s always sticky, makes our faces shine like a grease-ball, gives us a weird white tint that makes us look like Walking Dead zombies, and it balls under make up. Some even cause breakouts. There is probably more to complain about too, but it’s early and I’m only on my third coffee. But, there are solutions, you just have to know where to look. First of all, yes you need to wear SPF sunscreen every day. Yes, everyday means everyday. Just because it’s cloudy out, or you are going to be in the car, or you are only going out for a little while, or you are going to be indoors, does not mean you can get away without putting on sunscreen. Well, you can, but your skin will eventually get wrinkled and older and even worse. We don’t want that. And don’t use that excuse that you have makeup on so you can’t wear sunscreen. You can. The formula is so lightweight and silky that you will find yourself using it every day. It goes on like a charm and gives a matte finish which is going to ideal on a hot summer day. First and foremost you will notice its amazing satiny-smooth texture that blends weightlessly on skin leaving slightly blurred matte finish. The mineral sunscreen is gentle and supplies broad-spectrum sun protection. It also has a tint which would be ideal for light-to-medium complexions. This beautifully silky and elegant texture glides on smoothly and give a slightly matte finish and performs well under makeup. The formula features hyaluronic acid and a good amount of great anti-aging ingredient – niacinamide, as well as other beneficial components so it is not only a outstanding sunscreen but a good moisturizer. Great creamy texture which is more suitable for sensitive or irritated skin that needs not only protection from sun but also hydration. I would rather call it a moisturizer with SPF that additionally has soothing and calming properties. This a wonderful lightweight cream that blends easily into skin and does not live a white cast as it’s slightly tinted. Performs great either alone or under makeup without balling and peeling off. Additionally, it contains an impressive array of beneficial antioxidants to boost sun protection. Perfect-o! 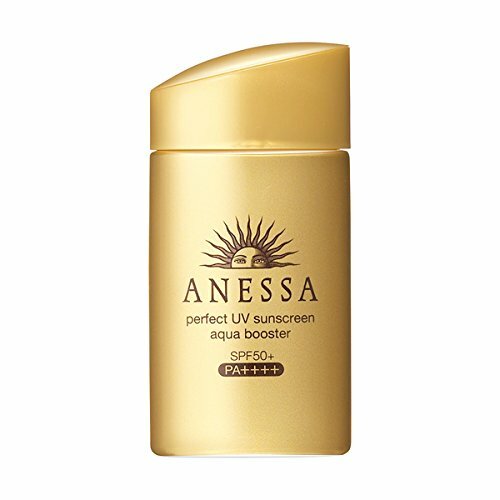 Anessa is a popular range of SPF products and is a sub-brand of Shiseido which is available in Japan and a few select Asian countries. Its milky runny consistency is pretty easy to use: it glides well and disappears in an instant without leaving a white cast on your face. It’s also infused with hyaluronic acid that moisturizes even the dehydrated skin. Anthelios 60 by La Roche Posay has an elegant formula and a little goes a long way. 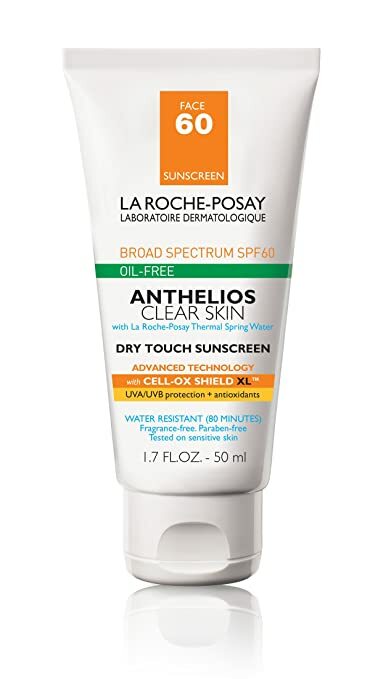 It might seem like a typical sunscreen at first, but within a couple of minutes it turns very dry to the touch and is actually a good makeup primer. It’s probably best suited for those with oily or breakout-prone skin as it contains ingredients that mattify/prevent oily shine. I have to say that Anthelios 60 is my favorite of the list. Thanks for the others!